Major surgeries such as back surgeries or joint replacements come with serious risks, limited success rates, and slow and painful recovery times. You might be fighting surgery, suffering from chronic pain, degenerative issues, or even sports injuries and feel you don't have another option. It may not seem that there are many alternatives, but we offer natural treatments such as stem cell regenerative therapy, which is available without the risks of surgery and long, difficult recovery periods. Stem cell therapy can repair damaged tissue in the body as a result of disease, age, and degeneration. These treatments can potentially pinpoint damaged areas, remove swelling with powerful anti-inflammatory properties, and possibly heal these areas by regenerating new tissue and cells. 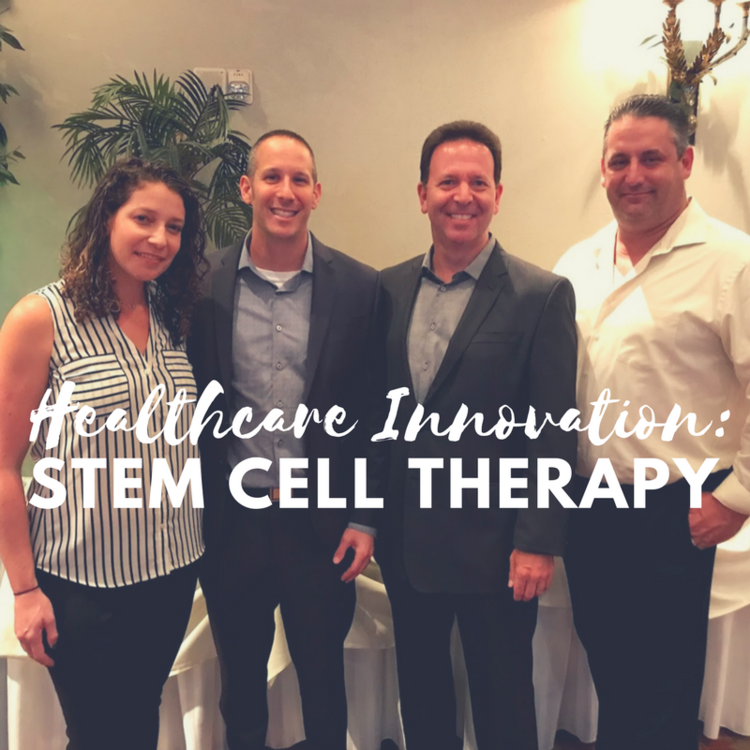 Patients that use stem cell therapy can potentially experience not only a decrease in pain, but also improvement in range of motion within weeks. The results patients have experienced are unbelievable, with many patients finding they only need one treatment! "I discovered stem cell because of the pain I was in. I could not walk and was in pain around the clock. I was taking pain pills every 4 hours and had to try something else. Since getting stem cell therapy 5 weeks ago, I haven't taken pain pills and I feel great. All my pain is gone. It worth sitting in the class to learn the different options!" "Before I researched stem cell therapy, I thought I would have to do 2 knee replacement surgeries. While researching stem cell, I found Markson Chiropractic and came to a seminar. Since getting stem cell therapy at Markson, I feel better every day and can do things I couldn't do before. I'm also looking forward to my continued progress." "I learned about stem cell therapy after attending the seminar at Markson Chiropractic. Only two weeks after treatment, my right knee pain is completely gone! Stem cell therapy is the best decision I ever made." "I tried stem cell therapy to avoid therapy and I am feeling much better. Most of the pain is gone and I can walk without a limp. I would highly recommend stem cell therapy because I feel it is a better alternative to therapy." "Two years ago I developed an acute case of tennis elbow and, no matter what I tried (physical therapy, acupuncture, rest), the injury would not heal. Luckily, I was introduced to stem cell therapy and I got injections into my elbow. To my amazement, my elbow improved dramatically and over the course of a few months, I was able to work out with weights and play tennis with little to no issue. From the patience in discussing various options, to the injections and the follow up care, the Markson team treated me like family. Do yourself a favor and talk to Markson Chiropractic!" "I have been living with chronic pain due to autoimmune disease for my entire life. Regular prescription drugs hadn't helped, surgeons couldn't help me and I was miserable. Stem cell therapy has dramatically changed my quality of life and has decreased my every day pain to nothing. I would 100% recommend stem cell therapy to anybody who is living with pain. It has helped reduce the chronic inflammation and pain from my Rheumatoid Arthritis to the point where I take no anti-inflammatories or pain relievers any longer." "I was given a Stem Cell Injection for ongoing lower back pain that I had been constantly experiencing for at least the last 25 years. After learning that less than 5% of all back surgeries are successful, I felt that this was the best option available. 6-8 weeks post injection, I began to see marked relief in the pain I had been experiencing. As time has passed since this initial 6-8 weeks, I am able to stand for long periods of time and move around with much more confidence that the pain will not be slowing me down." Stem cell therapy is the perfect addition to the natural treatments we offer to our patients. If you're interested in learning more about this therapy, click here to watch a FREE informational presentation.